The Ohio University Lancaster Theatre department now has state-of-the-art lighting and sound equipment thanks to the generous donations of the Lancaster community. Central Ohio residents interested in continuing their education can still apply in person or online to enroll for spring semester at Ohio University Lancaster | Pickerington. Ohio University Lancaster | Pickerington offers numerous late start courses in February, March and April for students looking to expand their course load or fill out their schedules with a new class. Bill Meyer is one such student who chose to participate in the program. Meyers chose an English course. Ohio University Lancaster will participate in the Remembrance Day National Roll Call from 11 a.m. to 2 p.m. on Thursday, November 8 at the 3rd Floor West Green Patio. Ohio University’s Lancaster Campus and Pickerington Center has been a key partner for countless groups and organizations throughout Central Ohio by providing meeting space and facilities for events and group activities. Ohio University President M. Duane Nellis met with local business leaders to discuss industry, education and more during a June 1 roundtable luncheon on Ohio University’s Lancaster Campus. Ohio University Lancaster hosted a tabletop exercise to work through a coordinated attack scenario. The exercise was attended by 60 community partners consisting of law enforcement, fire, EMS, county EMAs, campus and community officials. Ohio University Lancaster’s Diversity Committee and Student Social Work Association co-hosted a refugee and immigrant training session from the non-profit organization: Community Refugee and Immigration Services. Ohio University Lancaster is one of only two institutions in the entire state of Ohio offering these classes online and their affordability as well as the OHIO credential sets them apart from the competition. Angela Snider and Wendy Travis received the Jane Johnsen Women of Vision award for 2018 at this year's Celebrate Women Conference. Over sixty years ago, in 1956, Ohio University Lancaster was established as a branch of Ohio University with classes held at Lancaster High School with 295 students. Ten faculty members from Ohio University Lancaster were among those celebrated at Ohio University’s third annual Faculty Newsmakers Gala. Dr. Duane Nellis, Oho University's 21st president, came to the Lancaster Campus as part of his tour of OHIO's regional campus system. He had lunch with students, talked with faculty and staff, and enjoyed a tour of the campus led by Dean Jim Smith. Jessica Hanna spent the first two years of her college career at Ohio University Lancaster and comes back every year to teach elementary and middle school students at OUL’s Kids in College event. Please watch our graduation ceremony video. More than 100 of the graduates participate in the Honors Convocation held Friday, April 28. Ohio University Lancaster is hosting a Community Disposal Day and Drug Drop Off event on campus Saturday, April 29. The event starts at 10 a.m. and runs until 2 p.m. Kids in College at Ohio University Lancaster is currently accepting registrations. Celebrate Women Conference Registration is now closed. Thank you for your interest, however, registration for this event has sold out. The opening for the exhibit with reception is Monday, February 20, at 3:30 p.m., Alden Library on the Athens Campus of Ohio University. The event at Ohio University Lancaster's Wagner Theatre is free and open to the public. The event is open to all Ohio University alumni and friends and includes a luncheon hosted by the OHIO Alumni Association. Ohio University Lancaster | Pickerington will be closed during the annual winter closure period that runs from Monday, Dec. 26, through Monday, Jan. 2. Lancaster-Fairfield Community Action Agency recognized Ohio University Lancaster for the amount of paper and cardboard the students and staff recycled. Ohio University Lancaster Theatre presents "A CHARLIE BROWN CHRISTMAS" December 1 - 4, 2016. Survey target groups include residents of the communities neighboring OHIO’s Lancaster campus and Pickerington Center. Ohio University Lancaster is hosting an internship information meeting, Friday, October 28, 2016 from 9 a.m. – 12 p.m. in Brasee Hall 411 for students interested in high-paying internship opportunities. The table of Thomas Ewing, one of Ohio University’s very first graduates and a Lancaster, Ohio resident is now on display at Ohio University’s Lancaster Campus and available to the public for viewing. A free film screening of Equal Means Equal sponsored by the women’s, gender, and sexuality studies department will be held at 6:30 p.m., Tuesday, October 11 in the newly-renovated Wagner Theatre at Ohio University Lancaster. Freecycle founder, Deron Beal, is returning to his hometown of Lancaster, Ohio to present “Freecycle.org: over 10 million free items a year and how it works,” on Thursday, October 6th at 7 p.m. in Ohio University Lancaster’s Wagner Theatre. Nearly 90 area employers will be at Ohio University Lancaster on Friday, September 30th. Fairfield County Job and Family Services and Ohio University Lancaster will be holding a Job Fair from 9 a.m. to 12 p.m.
An art exhibition featuring the work of local artist Diane Ackers is on display in the Raymond S. Wilkes Gallery for the Visual Arts beginning September 13th. An Artists’ reception will be held Thursday, September 15th from 5 p.m. – 7 p.m. The Bobcat Bistro, Ohio University Lancaster’s dining hall and student lounge opened this week with an expanded menu featuring all-new lower pricing and affordable specials available for students, faculty, staff and the community. The Ohio University Lancaster theatre program’s final performance of its run of The Wizard of Oz filled the newly- renovated Wagner Theatre to capacity with a thrilled audience of all ages. Ohio University Lancaster Theatre will be performing a musical theatre adaptation of the classic film The Wizard of Oz in the recently renovated Wagner Theatre. At Ohio University Board of Trustees meeting on the Lancaster Campus, President Roderick J. McDavis announced that over $5 million in charitable trusts now held within The Ohio University Foundation’s endowment. Kids in College at Ohio University Lancaster is currently accepting registrations. Some of the class topics focus on forensics science, art, astronomy, dinosaurs, chemistry, culinary skills, math, music, history and sports. Ohio University’s Pickerington Center will be reducing its 2016 summer session operational hours. 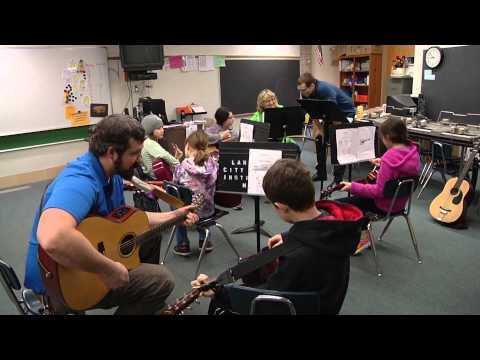 Ohio University-Lancaster’s Guitar Club (STRUM) will present a free spring concert on Wednesday, April 20, 2016, from 2:15-3:00 p.m. in the Raymond S. Wilkes Gallery for the Visual Arts, Brasee Hall. Pamela A. Kaylor, Ph.D., associate lecturer of communication studies at the Lancaster Campus and COIL Fellows from two other Ohio University regional campuses participated in a weeklong training. Ohio University Lancaster | Pickerington announced the hiring of Laurie Sheridan Lach as the director of development and external affairs. Ohio University Lancaster is hosting an internship information meeting, Thursday, March 10, 2016 from 4 p.m. – 5 p.m. in Brasee Hall 411 for any employer interested in becoming an internship partner. Ohio University Lancaster welcomes the Monarch Gallery Art Show: an art exhibition featuring the Monarch Gallery Artists. An Artists’ reception will be held Thursday, February 18, 2016 from 5 p.m. – 7 p.m.
Ohio University Lancaster welcomes Disney Imagineer Mark Hickson on Monday, February 15, at 11 a.m. in Brasee Hall 211. Ohio University Lancaster|Pickerington hires Andy Ellinger as its new manager of communications and marketing. Winter weather arrived at Ohio University Lancaster | Pickerington and with it the possibility of cancelled classes or a campus closure. Ohio University Lancaster | Pickerington’s Gender Equality Solidarity Society is holding its “Take Back the Night” event in Lancaster this year for the third time. Ohio University Lancaster | Pickerington is part of the 165th Fairfield County Fair. The beginning of the school year is almost here. However, this time of year isn’t only for young people. The 60 + program gives senior citizens in the community a chance to take college classes for free. The Superintendent of the Fairfield County Educational Service Center (FCESC) has joined the Ohio University Lancaster | Pickerington Coordinating Council. Dr. Marie Ward starts her term this fall. A piece of Ohio University in Athens will be part of the Food Truck Rally on the Lancaster Campus this evening. The Ohio University Lancaster Campus and community organizations are coming together to make sure the needs of crime victims in our region are met. Middle and high school science teachers from Fairfield, Licking and other southeast Ohio counties became students again in a workshop offered at Ohio University Lancaster earlier this month. Ohio University Lancaster Dean Dr. Jim Smith spoke to the Lancaster Rotary Club during its weekly meeting on Monday, May 11. Smith talked about the many ways the campus is growing. Flags will be flown at half-staff tomorrow at Ohio University Lancaster | Pickerington and around the country to honor Peace Officers Memorial Day. 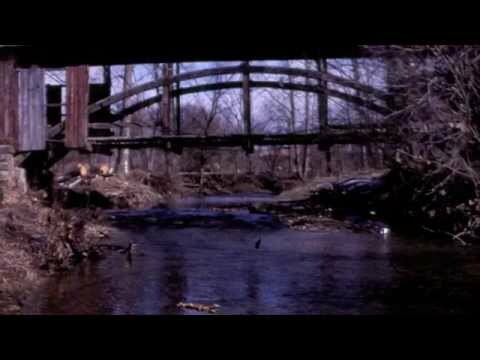 Ohio University Athens Campus graduates will get the chance to relive a little bit of their college days while attending the Covered Bridge Music Series at Ohio University Lancaster on May 23. It only took one day for Associate Professor of Computer Science Technology Christine Wolfe to learn that her class during the “Women in Technology and Science” program had changed the future for one young lady. The 36th year of Kids in College at Ohio University Lancaster begins in mid-June. Registration is now underway. The program will run the weeks of June 15, June 22 and July 6. According to 2015 data put together by the Uneseco Institute for Statistics, just 30% of the world’s researchers are women. A growing number of women are pursuing higher education, but many opt out at the highest levels required for a research career. On April 21, Fairfield Medical Center presented Ohio University Lancaster and Ohio University Pickerington with the first Heart Safe University Accreditation in the nation. Two new books were recently donated to the Ohio University Lancaster Hannah V. McCauley Library. The books have tremendous academic value in the political science world, but this donation was more an emotional gesture. The Community Disposal Day and Drug Drop Off event is being held at the Ohio University Lancaster Campus on Saturday, April 25. The event starts at 10 a.m. and runs until 2 p.m. The Ohio University Lancaster Deaf Studies and Interpreting program is working with Center of Science and Industry (COSI) to hold Deaf Awareness Days next month. They will be held April 17 and 18. Congratulations to Ohio University Lancaster Lecturer of Communication Studies Dr. Pamela Kaylor. Kaylor was selected to receive an International Women’s Day Recognition Award during the 2015 International Women’s Day Columbus Celebration. Each year, Ohio University Lancaster | Pickerington honors a local woman who has made significant contributions in our community. Ohio University Lancaster | Pickerington Dean Dr. Jim Smith hosted a meeting on college affordability in the state with Ohio Board of Regents Chancellor John Carey Thursday afternoon. About 100 students, faculty, staff and community members attended a special presentation on campus Wednesday afternoon to kick off Black History Month. The new executive director of the Lancaster Festival says he’s very excited about the Ohio University Lancaster Campus’ outdoor and indoor concert venues and is looking forward to working with the campus in the future. The new Bobcat Bistro at Ohio University Lancaster represents a union of OUL students, the Lancaster community and Ohio University in Athens in many different ways. Spring classes start at OUL on January 12 and senior citizens can be a part of the classes without having to pay for them. OUL Community and Corporate Learning Manager Ron Cullums writes a monthly blog on business and management strategies. He also highlights ways that OUL can assist businesses in the community with growth and development. Ohio University Lancaster’s philanthropic organization “Yarncrafters for Lancaster” gave children in Fairfield County a handmade friend to hold on to this holiday season. Ohio University Lancaster’s Community and Corporate Learning Center has added two new classes to its computer training line up. For the first time, Advanced Microsoft Word 2010 Level III and Advanced Microsoft Excel Level III are being offered. 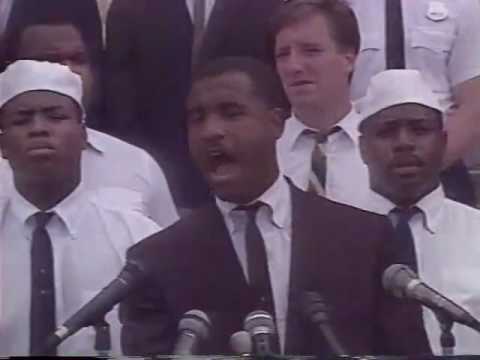 Ohio University Lancaster | Pickerington will celebrate Black History Month and the accomplishments of Martin Luther King, Jr., with a special presentation on January 28. An organization started by two former Ohio University Lancaster | Pickerington students has been selected to be part of the Fairfield Leadership class. 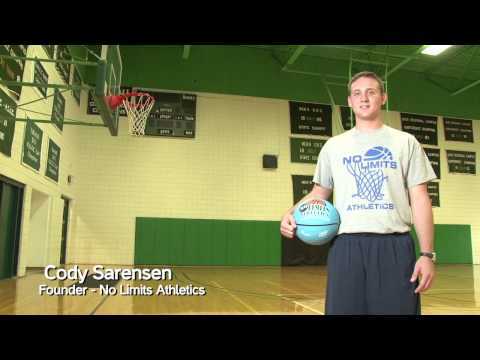 No Limits Athletics is run by Cody Sarensen and Rachel Berens. Fairfield County Sheriff Dave Phalen will speak to a Law Enforcement Technology class at OUL tonight at 6:30 p.m.
Police officers from college campuses across Ohio helped their new explosive detection K-9 dogs learn the ropes last week on the Ohio University Lancaster Campus by encouraging them to put their nose to the ground and get to work. Officials from the U.S. Department of Education were impressed with how informed, articulate and passionate OUL education students were during a discussion with Assistant Secretary for Rural Outreach Lucy Johnson. Theatre classes at Ohio University Lancaster aren’t just for young aspiring actors. U.S. Department of Education Assistant Secretary for Rural Outreach Lucy Johnson will be holding a forum and roundtable on rural education with school administrators and teachers at Ohio University Lancaster on October 28. The 164th Fairfield County Fair is underway and Ohio University Lancaster | Pickerington is a part of it. The OUL booth is located in the arts building. The person exists in almost every work environment, an employee or co-worker who is grumpy, grouchy or difficult. Many do not know how to deal with that person in a way that is productive, and it often times stops us from being able to get our job done. It feels like school just started, but it’s already time for high school students to start thinking about the next step. An Ohio University Lancaster | Pickerington Women’s, Gender and Sexuality Studies lecturer hopes the domestic violence scandal involving former Baltimore Ravens Football Player Ray Rice will start a long-term national discussion on the issue. Ohio University Lancaster | Pickerington will mark Patriot Day and Constitution Day with events on campus. Area job seekers will be in the Ohio University Lancaster Brasee Hall Gym on Friday, September 19. That’s because Fairfield County Job and Family Services is holding the Adult Career Expo from 9 a.m. to 12 p.m.
A former Ohio University Lancaster | Pickerington student has been recognized for her work helping those with developmental disabilities in the region. Community and Corporate Learning Interim Director Ron Cullums blogs about the need to continually train your workforce for productivity and employee retention. It’s important for the Dagger, Johnston, Miller, Ogilvie & Hampson Law Firm in Lancaster to be firing on all cylinders. That’s why the firm decided to use Ohio University Lancaster’s Community and Corporate Learning Center Computer Training. Ohio University Lancaster is now a Fairfield Medical Center Certified Healthy Business. OUL was one of 17 area businesses given the certification earlier this summer. Fall classes start at OUL on August 25 and they aren’t just for young people. The 60 + program gives senior citizens in the community a chance to take college classes for free. Anyone over the age of 60 can take a regular credit class for non-credit. Ohio University Lancaster’s Community and Corporate Learning Office has released its fall schedule of computer training courses. The courses are open to individuals and large groups from area organizations. Ohio University Lancaster Health Services Administration Program Coordinator Susan Shea believes data from the newly-released 2014 County Health Rankings show wellness initiatives in Fairfield County are working. Christopher Cross is going to work very hard to remember he is in Ohio when he performs on the Wendel Concert Stage at OUL Saturday night as part of Lancaster Festival. Educators with Ohio University Lancaster’s paramedic certification program are working to seat the next class which begins in September. Interviews with applicants are being held on campus this month. The Ohio University Lancaster | Pickerington Coordinating Council has two new members who both bring a Hocking County regional campus connection to the group. Kids in College ended up shattering its enrollment record. During the three weeks of classes on the Ohio University Lancaster Campus, 327 students took part. That is 91 more than last year. The last week of this year’s Kids in College at Ohio University Lancaster begins on Monday, July 7. Currently, 315 students registered for classes during the three week camp. 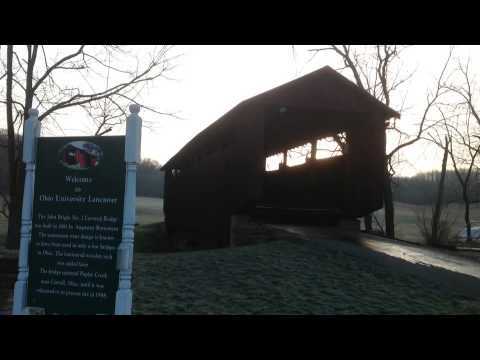 A dedication ceremony will be held July 11 for a new Ohio Historical Marker for the John Bright Number 2 Covered Bridge on the Ohio University Lancaster Campus. Watch a slideshow of pictures from the original move. Another year of Kids in College is underway at Ohio University Lancaster and another enrollment record has been set. Three hundred students are taking classes over the three-week period this summer. That’s 57 more students than last year. Students from the Ohio University Lancaster Theatre program helped law enforcement officials in the community prepare for crisis situations. 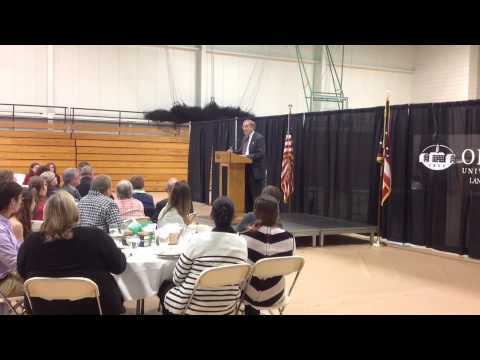 Ohio University Lancaster | Pickerington Dean Dr. Jim Smith has been speaking to civic and business organizations in the area recently updating them on the continued growth of the regional campus. Viewers of the next exhibition at the Decorative Arts Center of Ohio will be able to travel through cinematic time thanks to interactive technology programmed by an Ohio University Lancaster Alumna and Adjunct Professor. New partnerships have helped make the 2014 Community Disposal Day and Drug Drop Off event held at Ohio University Lancaster one of the most successful thus far. For Ohio University Lancaster | Pickerington Associate Professor of Physics Sandy Doty, science is more than just a subject. It’s a way of learning that students of all ages should be able to access and embrace. Nine new classes are being offered for the 35th year of Kids in College at Ohio University Lancaster. Registration is now underway. The program will run the weeks of June 16, June 23 and July 7. A man who grew up in Lancaster, and got his educational start at Ohio University Lancaster, will serve as Ohio University’s 2014 Undergraduate Commencement speaker in Athens this May. The social issues women are dealing with in our community will be discussed at Ohio University Lancaster | Pickerington’s Celebrate Women 2014. The event will be held on March 21. At 66 years old, Bill Henry has no plans of slowing down or acting his age. In fact, he’s acting quite young in a classroom with students just out of high school. Scott Wharton took a majority of his undergraduate classes at Ohio University Lancaster, and now the retired U.S. Air Force pilot is proud to come back to his old stomping grounds to honor veterans. Representatives from Ohio University Lancaster | Pickerington are out in the community this week at local events reaching out to former students about what the campus is up to now and potential students about what they can do on campus in the future. September 11, 2001 was a day that changed the lives of all Americans. But, Mike Blythe experienced the terrorist attacks 12 years ago differently than others because he was working for the Department of Defense at the time. The leaders of the organizations who are working together in The Zone on the Ohio University Lancaster Campus are calling the new three-way partnership a "win, win, win." Lawmakers, economic development officials, and local business leaders came to the Ohio University Lancaster Campus Thursday for the official launch of the Procurement Technical Assistance Center. A member of The David Mayfield Parade grew up in Lancaster and is excited to perform for his hometown and family when the band plays at the Ohio University Lancaster Campus on September 13. U.S. Senator Rob Portman believes training Ohio’s workforce for the jobs that are available is crucial and he’s glad to see that Ohio University Lancaster is working with economic development leaders in Fairfield County to make sure the needs are met. Ohio University Lancaster Student Sarah Secoy spent two days last week learning how to combat the prescription drug abuse problem on college campuses. 100 percent of the students in Ohio University Lancaster's Paramedic Certification Program passed the National Registry practical examination on the first try. It's a success rate that puts the program among the elite in central Ohio. The Ohio University Lancaster Campus is committed to helping grow the economy of the Fairfield County region. Now, more tools to assist businesses and economic development are available on campus. Ohio University Lancaster is one of the partners in a state grant project to help area elementary school students read at their grade level by the 3rd grade. Food trucks from Columbus and Athens will be on the Ohio University Lancaster Campus Wednesday night for the first Food Truck Rally as part of Lancaster Festival. Michael Bolton said he was very impressed with both the Lancaster Campus venue and the Lancaster Festival Orchestra after performing on the Wendel Concert Stage Saturday night. Landscaping and clean-up work are being done on the Ohio University Lancaster Campus this week. It's work that will make the campus more beautiful for the upcoming Lancaster Festival and for years to come. Concert-goers at the 2013 Lancaster Festival may see Michael Bolton and Crystal Bowersox in a different light so to speak. That's because the canopy that covers the Wendel Concert Stage on the Ohio University Lancaster Campus is new this year. Organizers are getting ready for the 4th Annual Tour de Cause, which is being held at the Ohio University Lancaster Campus on July 12 and 13. The bike tour raises money to battle the drug addiction issue in Lancaster and Fairfield County. A new attendance record has been set during the 34th year of Kids in College. 243 students registered for classes during its three week run this month. Last year, 237 students were registered. Students from the Ohio University Lancaster Deaf Studies and Interpreting program will be interpreting the outdoor drama "Tecumseh!" in Chillicothe Thursday, June 27. 68-year old Sally Grossenbacher said she can't wait for the school year to begin each fall because that means she gets to go back to school just like the kids do. Due to changing retirement rules in the state of Ohio, the director of Ohio University Lancaster’s EMS Education Program believes paramedics will be in high demand soon. The 3rd Annual No Limits Basketball Camp is set for July 15 - 17 at the Ohio University Lancaster Campus. The three-day camp gives participants with and without disabilities an opportunity to learn new basketball skills while learning about each other. An article on the history of a more than 100-year old covered bridge located on the Ohio University Lancaster Campus, written by OUL Assistant Professor of History Mark Nevin, has been published in Fairfield Heritage Quarterly. About $550 was raised during a 5k walk at Ohio University Lancaster Saturday held for the tornado victims in Oklahoma. Students in OUL's Human Services Technology Student Association organized the event to collect money to help. Six additional television monitors are now hanging up all over Brasee Hall on the Ohio University Lancaster Campus to educate students about the dangers of prescription drug abuse. About 200 children are registered to take part in this year's Kids in College at Ohio University Lancaster. The historic John Bright Number 2 Covered Bridge is open again to the public. The bridge was damaged in an arson attack on January 15. 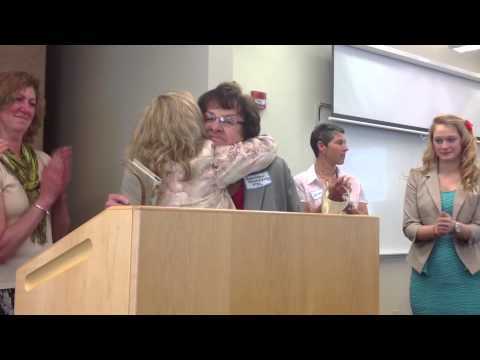 Pickerington Public Library Director Suellen Goldsberry was presented with the award at the Day of Athena Leadership Development Conference held at the Ohio University Pickerington Center on Friday, May 17. A group containing people from the Ohio Department of Developmental Disabilities toured sections of the Ohio University Lancaster Campus last week to learn about a partnership between OUL and Fairfield County Developmental Disabilities. The Community Disposal Day and Drug Drop Off event is being held at the Ohio University Lancaster Campus on Saturday, April 27. Ohio University Lancaster | Pickerington Communication Studies Assistant Professor Dr. Nicole Blau will be getting one of the Pickerington Education Association's Friend of Education Awards at a banquet next month. 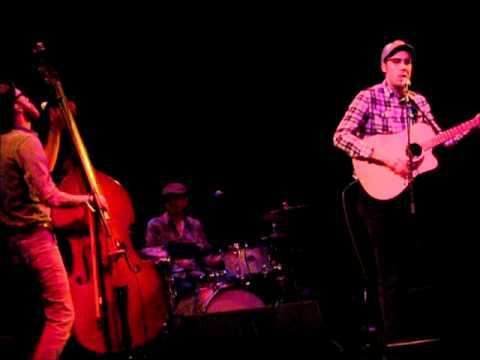 The people of Lancaster have the opportunity to see Singer/Songwriter Joe Pug before he hits it big. Ohio University Lancaster Communication Studies students are working to "Spread the Word to End the Word" this semester. The sounds of Section 8, a men's a cappella group from Ohio University, filled the Wagner Theatre on the Lancaster Campus Saturday to mark the end of an evening where the past and present came together. Ohio University Lancaster's Athletic Director has been awarded the 2013 Commitment Award from the Fairfield County Board of Developmental Disabilities. Registration for the 34th year of Kids in College at Ohio University Lancaster is now underway and some new courses are being offered this year. The program will run the weeks of June 10, June 17 and June 24. Area job seekers will be in the Ohio University Lancaster Brasee Hall Gym on Wednesday, March 6. That's because Fairfield County Job and Family Services is holding the Adult and Teen Career Expo from 3 p.m. to 6 p.m.
Repair work is underway on the historic John Bright Number 2 Covered Bridge at Ohio University Lancaster. The bridge was damaged in an arson January 15. The interim director of the Ohio University Lancaster Community and Corporate Learning Office can’t wipe the grin off of his face after getting an award at the Lancaster-Fairfield County Chamber of Commerce Trade Show and Awards Dinner Saturday night. Scarves, ear warmers, hats and hand warmers are now being put to good use in the Lancaster area. An Ohio University Lancaster Assistant Professor and student are attending the largest community breakfast event honoring Dr. Martin Luther King, Jr. in the United States. Fairfield National Bank is making a $75,000 contribution to Ohio University Lancaster and the Fairfield National Bank Scholarship. Lancaster police and fire officials are investigating a fire on the historic John Bright Number 2 Covered Bridge at Ohio University Lancaster as arson. Training funds have recently become available from the State of Ohio to help companies in our region and across the state upgrade the skills of their employees. The O.U. Lancaster Community and Corporate Learning Office can help. Students in Dr. Candice Thomas-Maddox’s Introduction to Organizational Communication course spent more than 170 hours volunteering at area organizations during fall semester. Work done by Early Childhood Education students three years ago at Ohio University Lancaster | Pickerington is still helping young children and their parents in our community today. Ohio Department of Job and Family Services Director Michael Colbert visited the Ohio University Lancaster Campus Friday morning during a career fair hosted by Fairfield County JFS. The fair was being held in the Brasee Hall gymnasium.